WilliamsRDM regularly tests and monitors the performance of its products, including the StoveTop FireStop Rangehood (“STFS Rangehood”) and Microhood-White Automatic Cooktop Fire Suppressors. 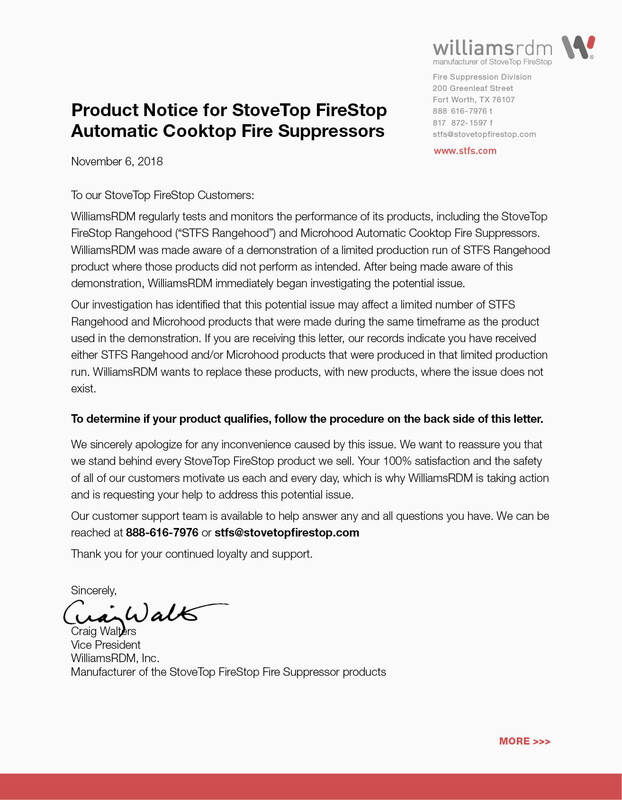 WilliamsRDM was made aware of a demonstration of a limited production run of STFS Rangehood product where those products did not perform as intended. After being made aware of this demonstration, WilliamsRDM immediately began investigating the potential issue. Our investigation has identified that this potential issue may affect a limited number of STFS Rangehood and Microhood products that were made during the same timeframe as the product used in the demonstration. WilliamsRDM will replace these products with new products free of charge. 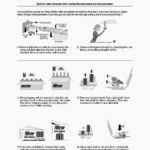 To determine if your product qualifies, follow the procedure below. We sincerely apologize for any inconvenience caused by this issue. 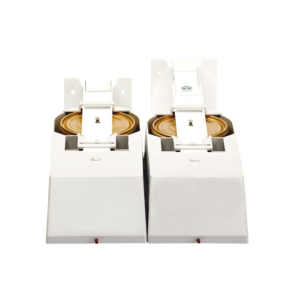 We want to reassure you that we stand behind every StoveTop FireStop product we sell. Your 100% satisfaction and the safety of all of our customers motivate us each and every day, which is why WilliamsRDM is taking action and is requesting your help to address this potential issue. The potentially affected STFS Rangehood product can be identified by looking at the four digit date code stamped on the top (magnet side) of the can. If the date code on the can is 4516 then the product should be replaced. 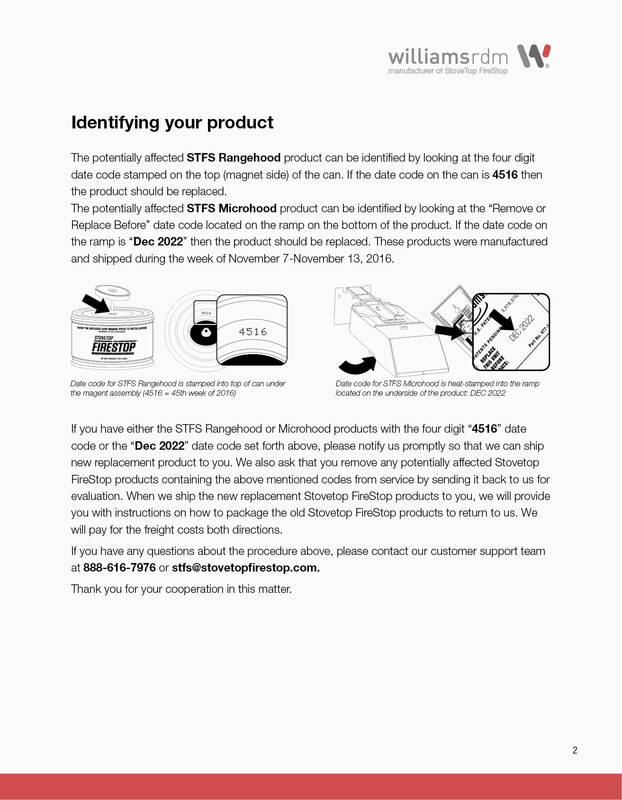 The potentially affected STFS Microhood product can be identified by looking at the “Remove or Replace Before” date code located on the ramp on the bottom of the product. If the date code on the ramp is “Dec 2022” then the product should be replaced. These products were manufactured and shipped during the week of November 7-November 13, 2016. 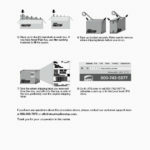 If you have either the STFS Rangehood or Microhood products with the four digit “4516” date code or the “Dec 2022” date code set forth above, please notify us promptly so that we can ship new replacement product to you. 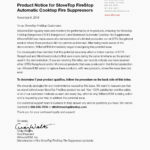 We also ask that you remove any potentially affected Stovetop FireStop products containing the above mentioned codes from service by sending it back to us for evaluation. 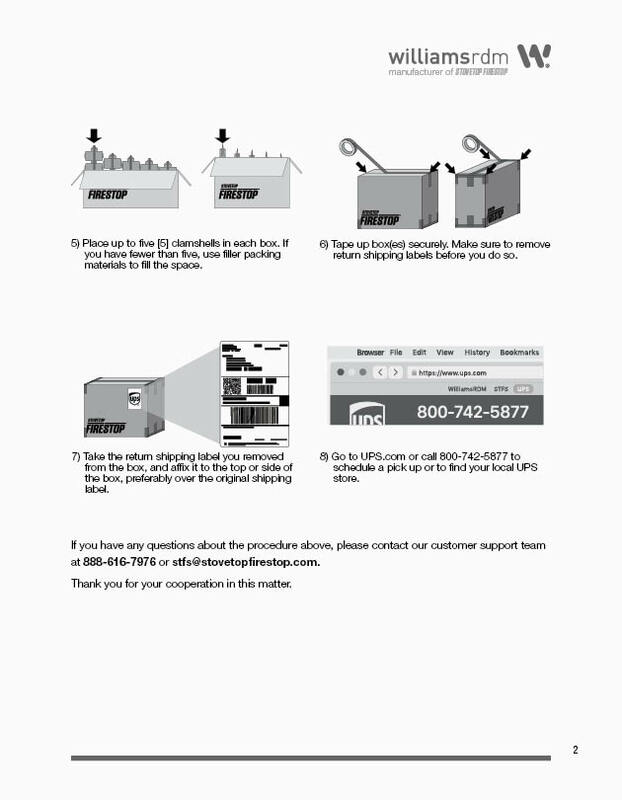 When we ship the new replacement Stovetop FireStop products to you, we will provide you with instructions on how to package the old Stovetop FireStop products to return to us. We will pay for the freight costs both directions. Our customer support team is available to help answer any and all questions you have. 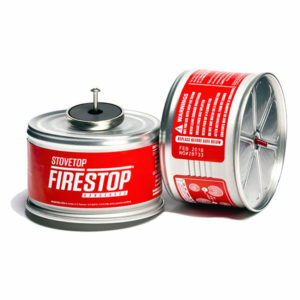 We can be reached at 888-616-7976 or stfs@stovetopfirestop.com. 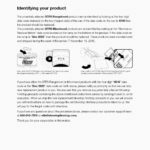 Download a PDF of the Product Notice Letter HERE. 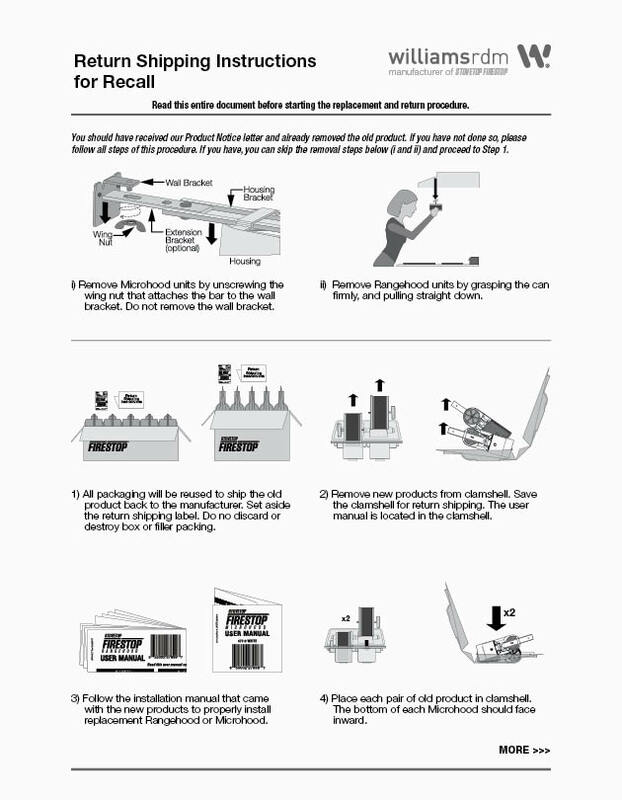 Download a PDF of the Recall Return Shipment Procedure HERE.